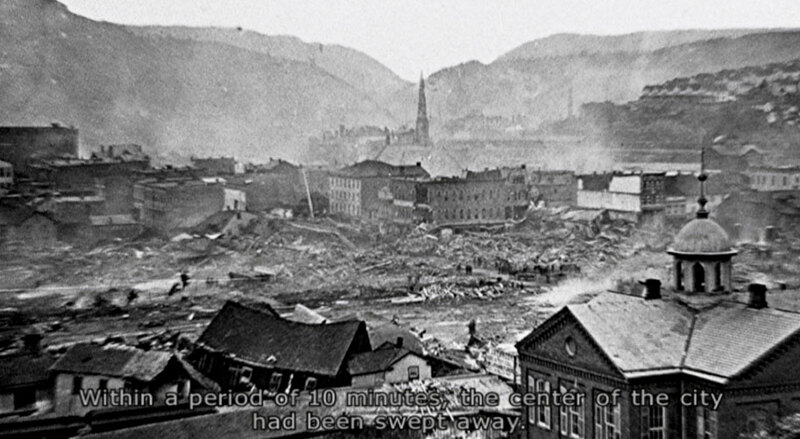 The Johnstown Flood Museum tells the story of the 1889 flood — including the town’s triumphant recovery. Educators bringing groups to the museum might wish to access our online curriculum materials at the link below. 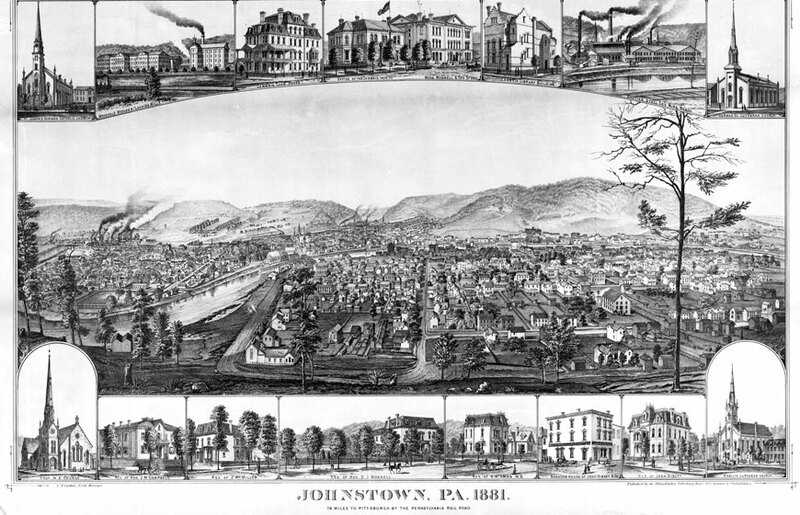 Exhibits explain what the bustling industrial town of Johnstown was like before the flood. 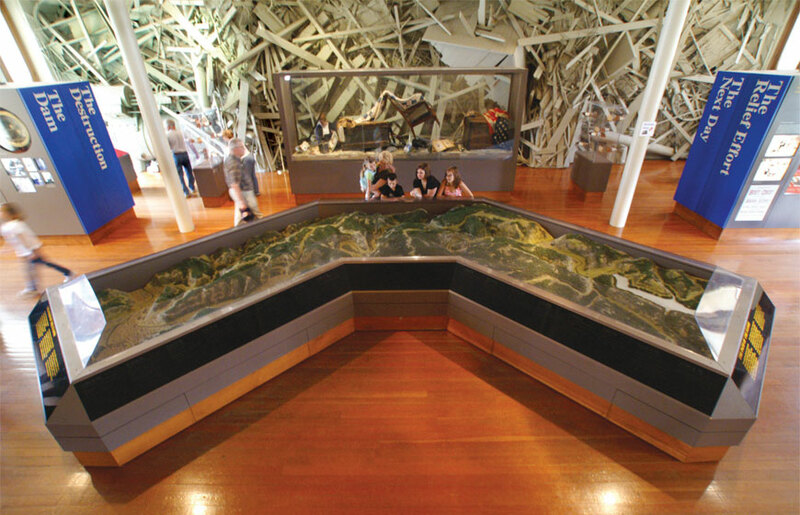 This relief map, interpreted by a museum docent, illustrates the path of the flood down the Conemaugh Valley in both time and space. 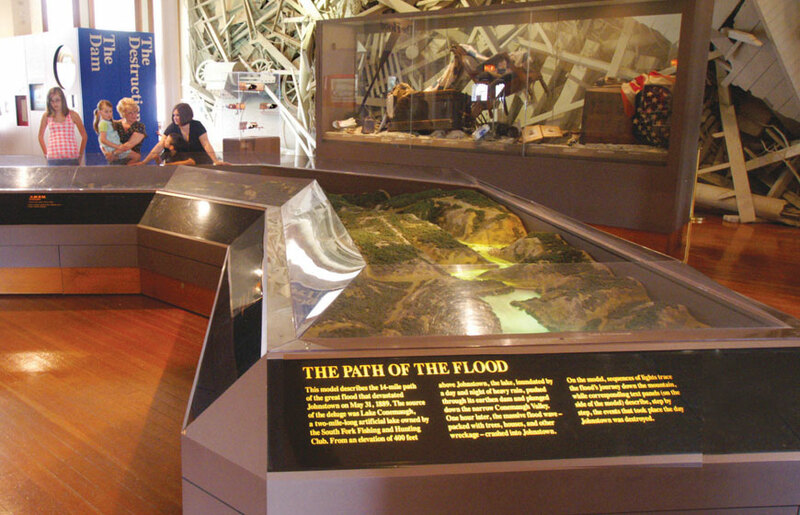 Light and sound effects illustrate the flood’s timeline, from the time the rains began to threaten the dam until the waters began to subside. Objects recovered from the flood include a quilt used to drag survivors to safety, a set of keys, a trunk, various household items recovered from the debris, and even a bottle of floodwater. 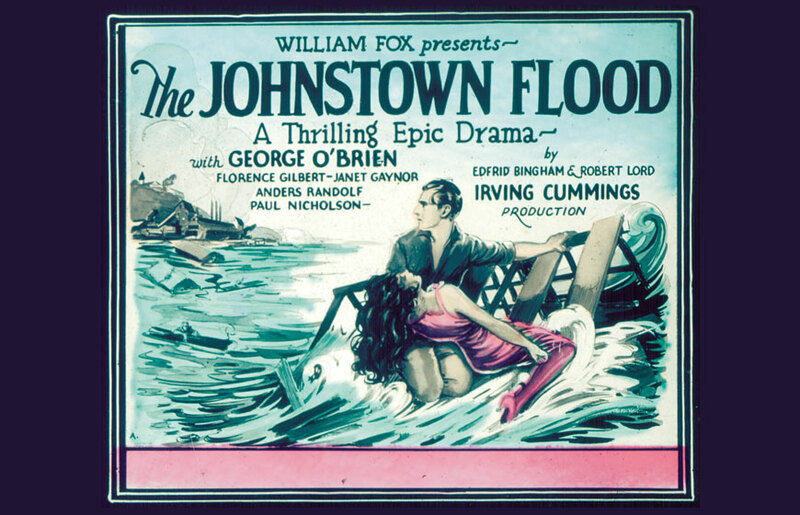 The Johnstown flood captured the public imagination, and representations of the flood appeared in media and popular culture. 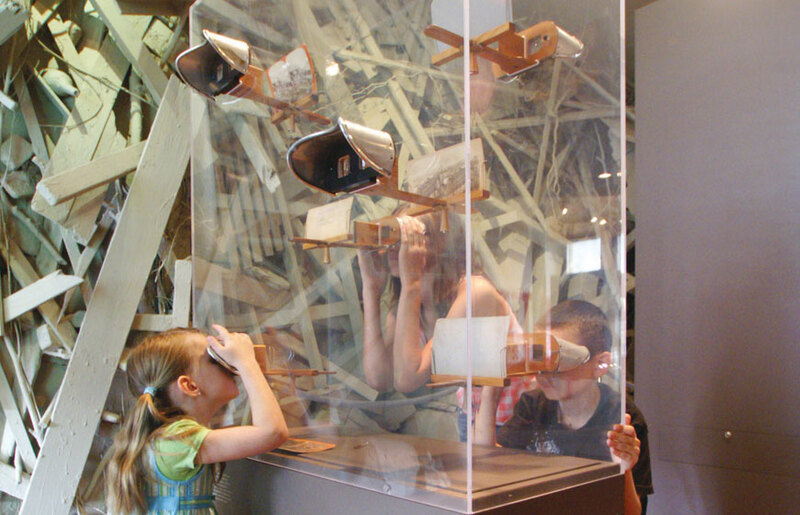 Photographers took stereoptic views of the flood — two shots of the flood taken from slightly different angles that when viewed through a special apparatus would give a three-dimensional effect. 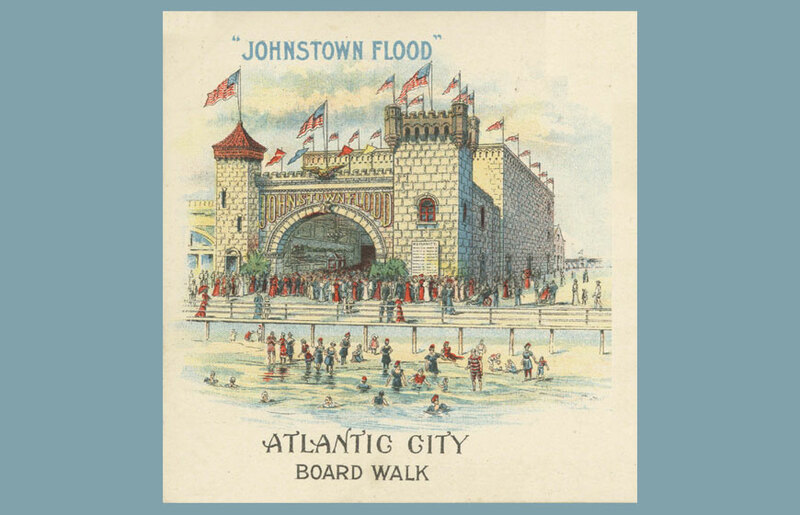 Janet Gaynor starred in a silent movie called The Johnstown Flood in the 1920s (portions of it are shown in the museum), and even amusement park attractions based on the story appeared at Atlantic City, Coney Island and elsewhere. An outpouring of support came from across the world. 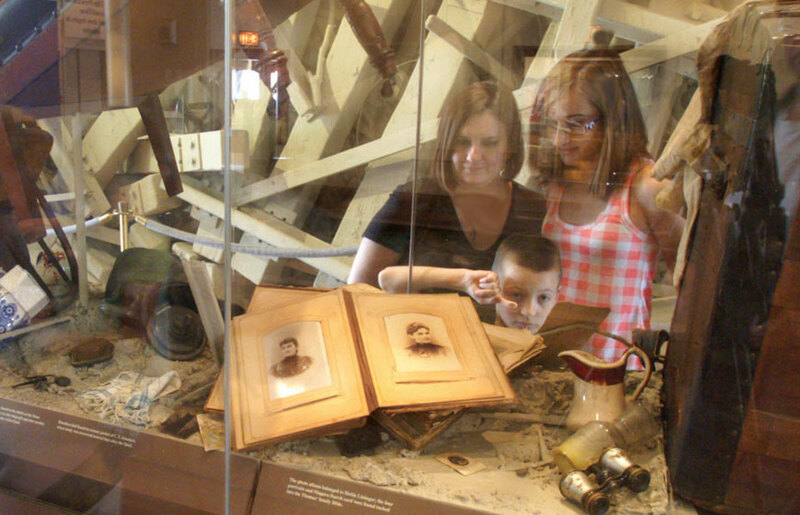 The museum’s Oklahoma house was located in the City’s historic Moxham neighborhood, where it was discovered after its porch caught on fire several years ago. The house shared a lot with a larger residence, which had been acquired by Habitat for Humanity. 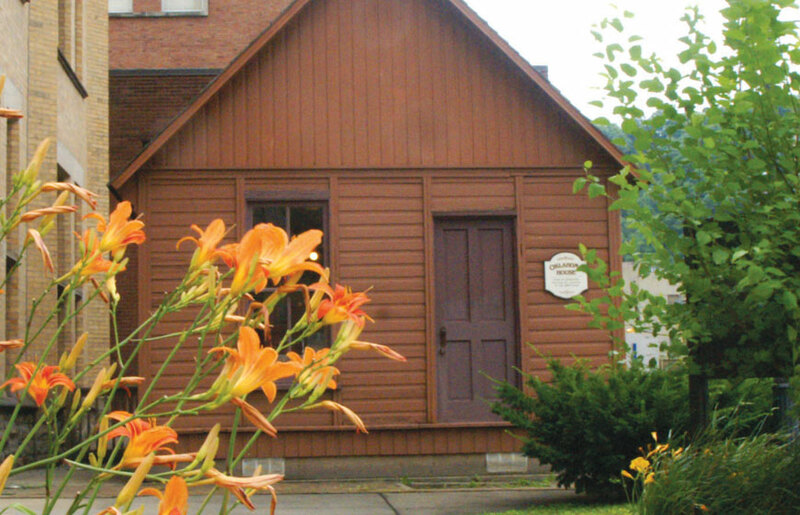 When informed of the historical significance of the smaller structure, Habitat for Humanity donated the house to the Johnstown Area Heritage Association. The Oklahoma House was moved from the Moxham neighborhood and placed on an existing patio adjacent to the museum. 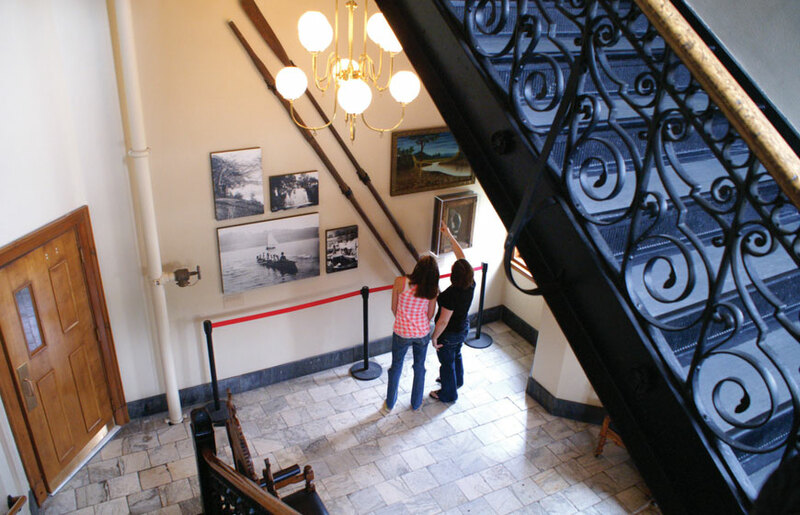 The Oklahoma was renovated for its inclusion in the museum’s exhibit. A wood shingle roof was installed, several exterior clapboards were replaced, and the exterior was painted. 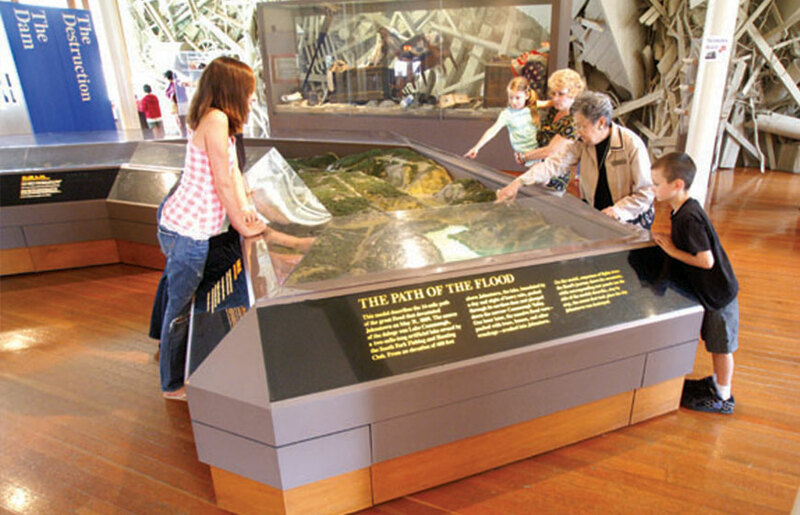 The Oklahoma provides a perfect venue for the museum to exhibit its comprehensive collection documenting the recovery efforts after the Great Flood, which includes home furnishings and domestic items provided by the American Red Cross and other agencies that helped the survivors of the disaster. 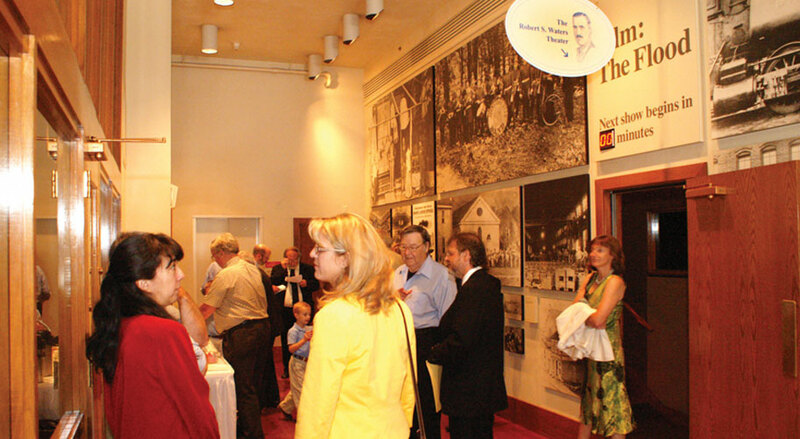 The Johnstown Area Heritage Association opened the Johnstown Flood Museum in 1989, marking the centennial anniversary of the flood. In preparation for the opening, JAHA commissioned the internationally acclaimed filmmaker Charles Guggenheim to produce a documentary on the flood to be shown at the museum. 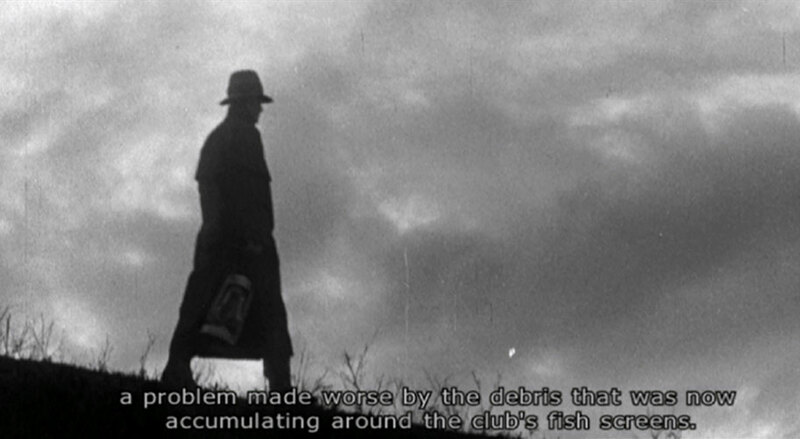 The result is a 26-minute film that won the Academy Award for Best Documentary, Short Subject. 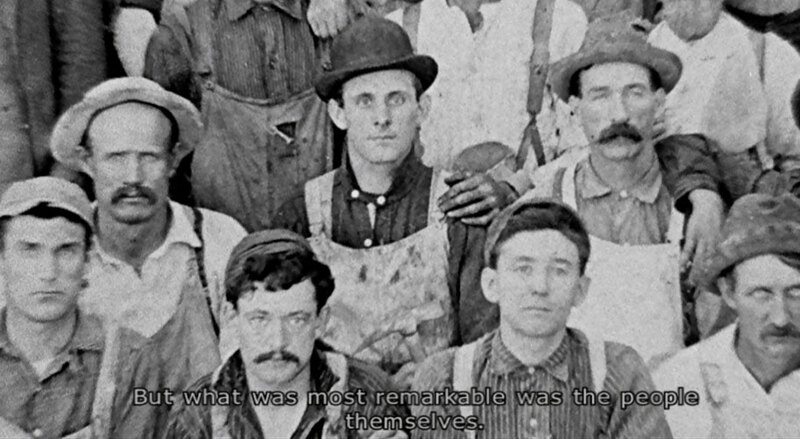 It uses JAHA photo archives and recreations of events to explain what happened that fateful day of May 31, 1889. 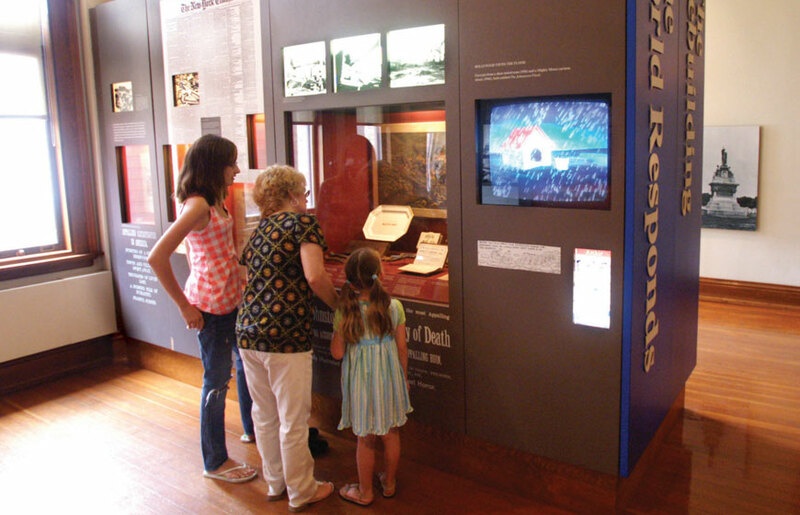 The film, which is captioned, is shown every hour at the Johnstown Flood Museum, in the Robert S. Waters Museum on the second floor. The rebuilt library was located on the same site as the old one, at the corner of Washington and Walnut Streets. 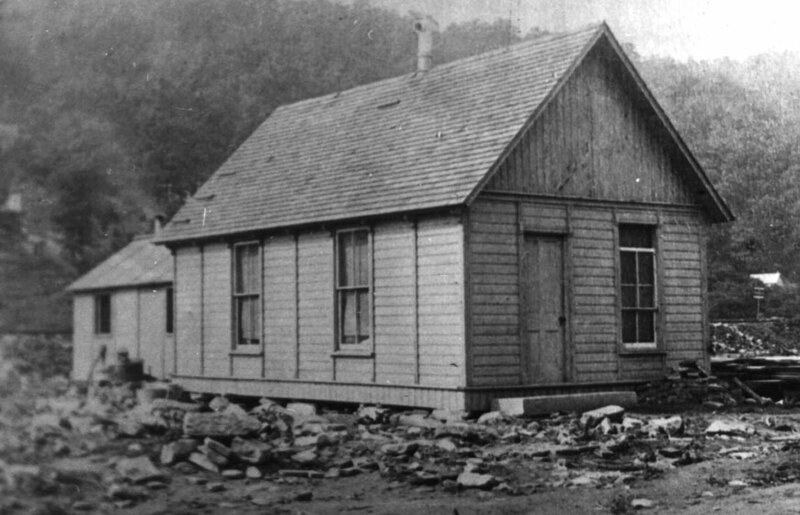 The Cambria Iron Company donated an adjacent tract of land, where the telegraph office had stood before the flood, to increase the library’s lot. 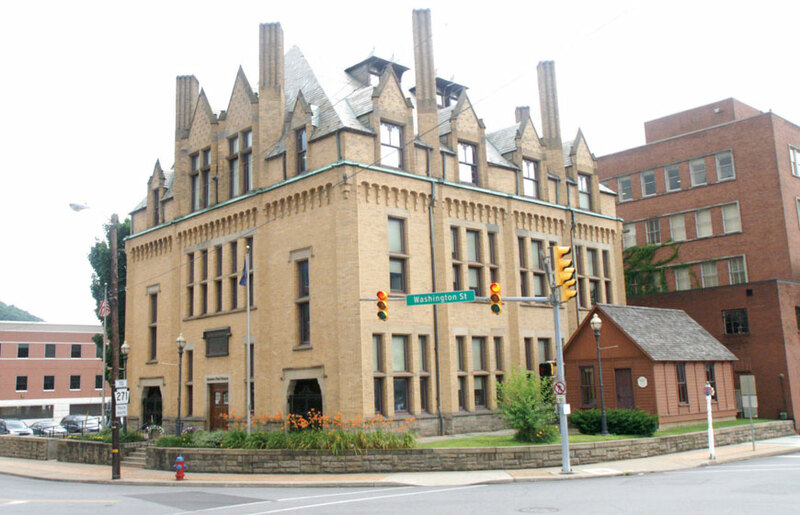 Addison Hutton of Philadelphia, architect for the $55,000 project, built the French Gothic style structure. The foundation of the building consists of 20 massive stone piers of circular section, 5 to 7 feet in diameter. The woodwork throughout the building is select Pennsylvania pine, finished in its natural color. 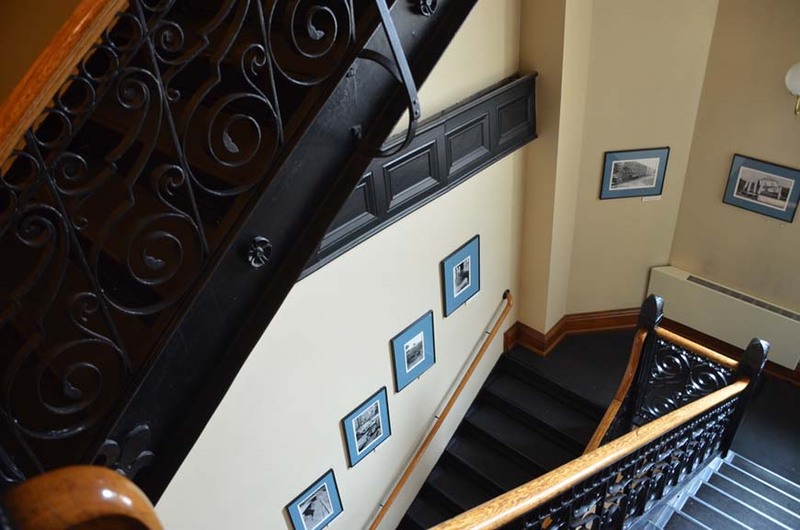 The stairway alcoves on the first floor are laid with white marble tiles, skirted in black marble. 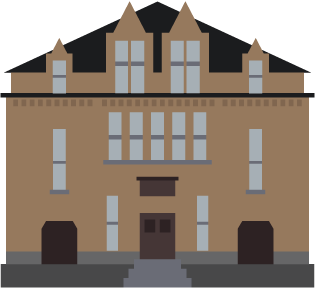 The third story features dormers and the building has eight massive chimneys, two on each side. 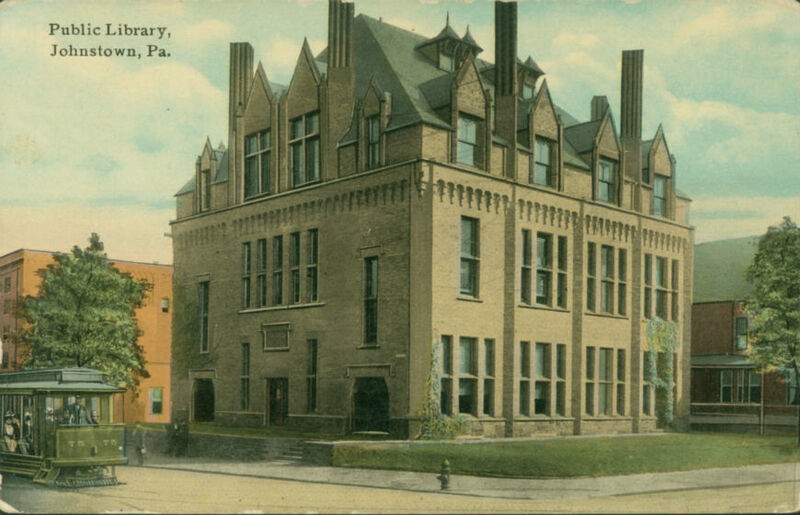 The building functioned as a library until it was reopened as the Johnstown Flood Museum in 1973, and it is listed on the National Register of Historic Places.